Imagine you’ve organized a party with your friends, family or colleague to celebrate the most precious achievement of your life. Everyone is enjoying and your special drink is about to be famous. At this moment you found that you are running out of ice!! To avoid this type of awkward situation you can get a perfect ice maker, which can save your day! But you can’t pick any ice machine randomly! Before going to buy, you need to know well about the ice machine and the most important features you should look for. If you have a proper idea about different types of ice machines and their features, it would be very easy and simple for you to get the best one. So, to help you with that I’ve discussed various types of ice machines and the factors that help you to get the most durable ice maker. An ice maker is the type of electric motor which has a cooling unit, a heating unit and an ice tray. It also needs the supply of clean water to make the ice. You can have an ice maker that has the connection to the water line and you can fill up the ice maker with water. The water pumped in the ice tray and when the water reaches the proper level, the cooling unit starts working. You’ll find built-in thermostats in all ice maker, so it can turn on and off automatically. After freezing the water in the ice tray, the heating unit becomes active. It heats- up the base of the ice tray to separate the cubes from the tray. Before buying an ice maker you must know about the different types of ice makers available in the market. If you know well about them you can easily choose the right one for you. These type of ice makers are good for making ice in large volume. It can make up to 1000lbs ice in a day. They are largely used in hotels and restaurants. Modular ice machine needs a dedicated water supply to have fresh water. 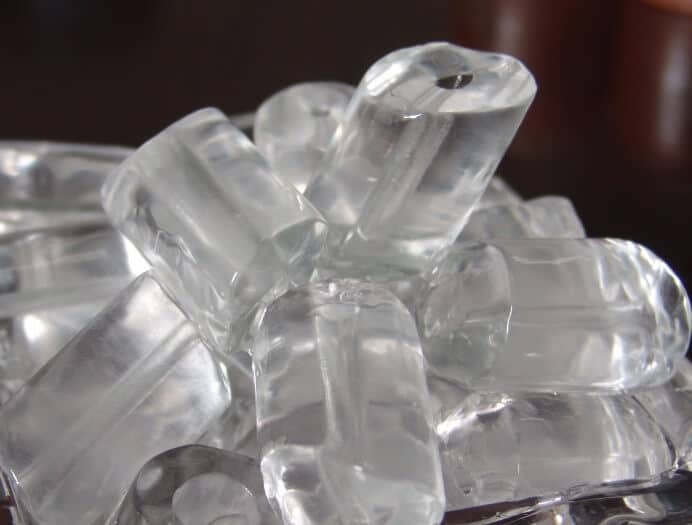 If you’ve decided to buy a modular ice maker, you need to look for two main features they are- the maximum ice production capability and the speed of its ice production. I wouldn’t recommend this machine for home use unless you frequently organize parties at your home. These type of ice makers are designed to set under your kitchen or bar counter. Undercounter machines are pretty much expensive & high capacity. They can make 300 to 400 lbs ice in a day. To connect with the water source under counter machine needs a line. If you are a person who through parties regularly with a lot of friends and family, it can be the perfect choice for you. Counter top ice makers are usually small sized. It can produce 20- 80 lbs ice in a day. They are very suitable for regular home use. You can get a countertop at a reasonable price. If you want an ice maker which you can move outside the kitchen, it is the best choice for you. They are small and you can set them anywhere you want. Portable makers produce the minimum quantity of ice up to 60 lbs. They are perfect for outing or camping. By having a portable ice maker, you don’t need to be worried about the space as you can store them anywhere after using them. It is the subset of the portable ice maker. Personal ice machines are handheld and rechargeable. They are ideal for boating, camping and traveling where you need ice only for two people. Built in ice maker is the combination of undercounter and countertop ice maker. If you own a high-end kitchen, you can install a built-in machine. Like undercounter, it is also designed to fit under the bar or kitchen counter. This type of ice makers can make 20- 30 lbs ice a day. They have refrigerator ice storage so it can store the ice and keep them cold. You need to consider many things while buying an ice maker. The type of ice is the first and most important thing you need to think about before buying the ice maker. But besides that, there are many factors you should consider for selecting the best ice maker for you. Here I’ve discussed some most important features that’ll help you to choose the right one. If you’re buying the ice machine for your home use at kitchen or bar, get the precise measurement of the space you’re going to place it. After getting the measurement, you’re ready to select the ice machine. But you need to remember that the machine should be a little bit smaller than the place you place it. Because the machine needs minimum space for oxygen circulation. Another thing you should consider choosing the best ice machine is the amount of ice you need. Are you going to make ice only for yourself or to serve a big party! If you want this for yourself, you can pick a small one. B if you’re going to use it for a big party, go for the big size. In other words, check the ice producing capacity of the machine before purchasing one. That means, how much ice the machine can produce per day and how fast it can produce ice. Now choose the style you want to buy. Stainless steel designs are suitable for most kitchens. They are available in black/ white/ silver color. They come in two basic styles- boxy and smooth. You can place the box one under the cabinet, but the fluid ones are meant for countertops. The next thing you need to look for is the operation process of the machine. Means, the machine ms be easy to install, operate and clean. It would be more convenient if it has a timer and the option to select the size of the ice. You may not want your ice maker to break down after using a couple of time or in a few weeks. It must work for a long period of time. 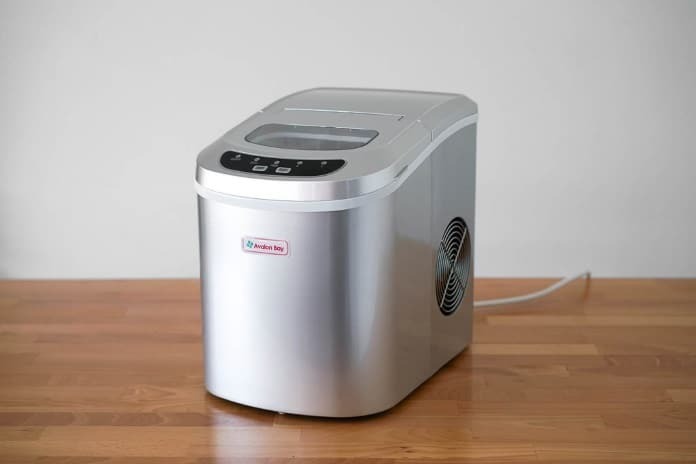 After researching about best quality ice makers, I’ve found that there is a strong correlation between durable machine and quality customer support. If the machine is cheap, it tends to break down fast and you’ll have the worst support from the supplier. But if you spend a little bit extra money, you can have a good product with a great customer support. And we all know that a good quality ice maker will last long without any kind of heavy maintenance. All you need to maintain it regularly. After making ice, the ice makers never store the unused ice in freezing temperature. The unused ice melt and in older ice makers the melted ice water remain there which became the cause of the damage. But in modern models, they included the recycling process in ice machines. Which takes the melted water back into the system. So you don’t need to drain the melted water or refill the maker. So before buying, check the model includes the water recycling process. It’ll save your time and water. 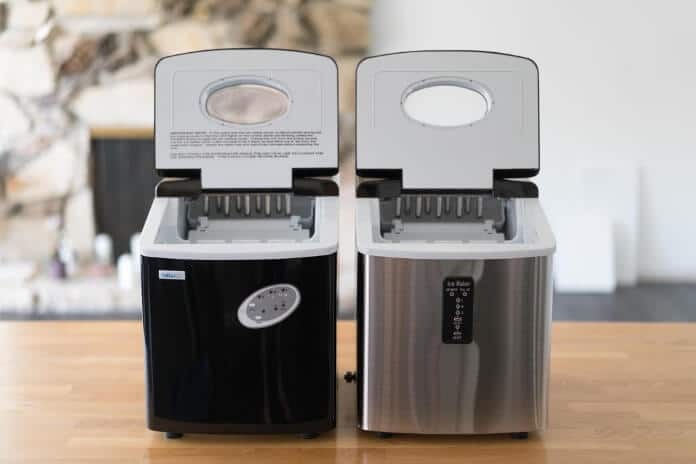 The ice maker you’re going to buy must have the option to make different types and size of ice like- cube, crescent, nugget, crushed, clear cube, gourmet or sonic ice. Check the type of ice that the machine creates. If it makes soft ice, the ice will melt faster and it will produce more ice. The most important feature you need to look for is the water source. If you get a heavy-duty, built-in ice machine, you need to connect it with a water source. They have filters to clean the water. Portable and small ice machines can be refilled by hand. These machines do not have filters so you’ve to use clean or filtered water. Freezing the water and maintaining temperature to keep the ice frozen need some power. Some manufacturer produces ice makers that need the voltage which is beyond your typical outlet. So talk with an expert electrician for installing your ice machine and make sure that the power source you’re going to use for the machine is appropriate for it. So, these are the basic features that a good quality ice maker may have. If you’re going to buy a new ice maker for home or commercial use, these tips will help you to get the right one for you. Try to go with a reputed brand and never choose the cheapest one. Because cheap ice makers have a high possibility of breaking down after a few uses. It is better to buy one with after sells support. Because if you face any type of problem after buying it only a good quality support can help you to solve the problem. So if you have a party at home and decided to buy an ice maker, go through this guideline and choose the right one for you.